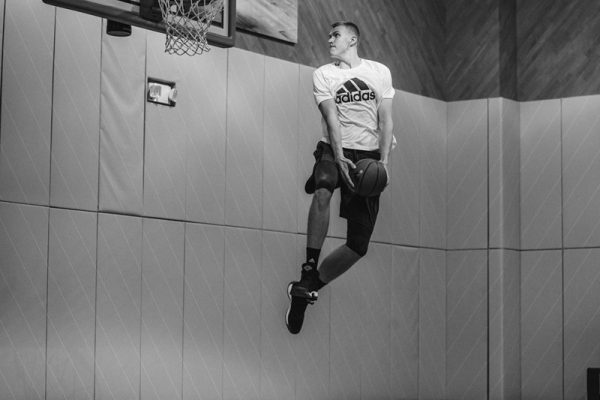 Adidas has managed to get a lot of media attention lately. The famous company has been in the center of an FBI investigation into the way young basketball players are recruited. One of the most commonly mentioned names in this investigation has been James Gatto, Adidas’ head of global sports marketing. Now, the famous sportswear giant has decided to place Gatto on leave. The company stated that following allegations that Gatto conspired to funnel money to recruits, Adidas has placed him on administrative leave. “We became aware today of the allegations and intend to cooperate with the relevant authorities,” the company stated. “The employee has been put on administrative leave and the company has engaged outside counsel to conduct a thorough investigation,” the same statement added. Another name that has been linked to the case is Brian Bowen, a freshman who committed to the University of Louisville, which is sponsored by Adidas. The recruitment of Bowen actually came as a surprise, considering that it was announced quite late and there were no indications that this would happen. Allegedly, Bowen made this decision after receiving $100,000 in bribes from Gatto. As expected, this means that the University of Louisville is also part of the investigation. “While we are just learning about this information, this is a serious concern that goes to the heart of our athletic department and the university,” a statement from the university said. “UofL is committed to ethical behavior and adherence to NCAA rules; any violations will not be tolerated,” the same statement added. The case and the allegations have quickly evolved and in a couple of days, Nike was also linked to the charges. Some sources told ESPN that the famous company has received a subpoena from authorities, seeking information on the case. A former Nike employee who then worked for Adidas was also named in the investigation. “Nike firmly believes in compliance with laws and fair play in all sports. There are no allegations against Nike in the complaints and we are committed to cooperating with any government investigation into this matter,” the company stated in relation to the case without providing any other information. Adidas managed to create a lot of headlines lately with its involvement in a severe corruption case. The scandal first emerged at the end of September, when the FBI arrested a company executive on allegations of offering bribes to high school students and their families for certain benefits for Adidas. The case is considered to be very widespread and it actually came as a shock in the world of sports. The Adidas executive charged in the case is Jim Gatto, the company’s Global Marketing Director for Basketball. The authorities charged him with wife fraud, money laundering, as well as paying $250,000 in bribes. The whole case is quite complicated and also involves other defendants, including a former Nike employee and assistant basketball coaches from Arizona, Auburn and California, among others. 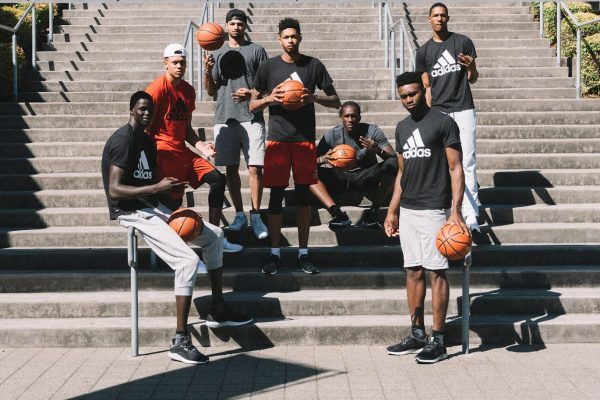 The Adidas director was accused of paying money to basketball players that are still in high school, and their families, if they promise that they would go to play at certain schools. Furthermore, the young players had to give Gatto guarantees that they would sign endorsement deals with the sportswear company sponsoring those schools, when turning professional. An important thing to mention is that the name of the sportswear company was not specified in court filed documents. The court papers do not mention Adidas’ name, but the references made when talking about the “company” point to the sportswear giant. The names of the universities part of the case have not been revealed, either. Adidas previously stated that it would cooperate in the investigation. “Today, we became aware that federal investigators arrested an Adidas employee,” the company said. “We are learning more about the situation. We’re unaware of any misconduct and will fully cooperate with authorities to understand more,” the same statement added. The company also said that it will also conduct its own investigation into the case. So, besides Gatto, the FBI also charged several college coaches in relation with the corruption investigation. Thus, the case is expected to get bigger and most likely other people will also be charged in connection with the claims. 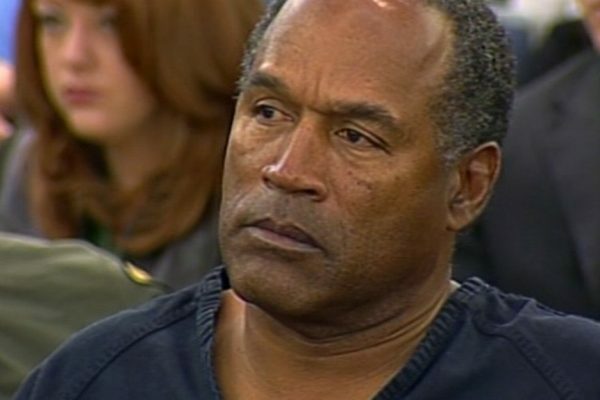 Former NFL star O.J. Simpson has been released from prison. Simpson was sentenced to 33 years in prison back in 2008 for his alleged involvement in a kidnapping and armed robbery. Although he is a free man now, Simpson will remain on parole until 2022. This means that he is not allowed to consume alcohol in large quantities and he cannot connect with people engaging in criminal activity or ex-convicts during the parole period. So, Simpson spent 9 years in prison for the kidnapping and armed robbery involvement that occurred in 2007. He was imprisoned at the Lovelock Correctional Center in Lovelock. The former NFL star was released from prison on Sunday, to help him avoid the media attention. A spokesperson for the Nevada Department of Corrections said that Simpson was picked up by a friend, whose identity is not known. The spokesperson also said that he, naturally, looked very happy to be out of prison. “He was upbeat, personable and seemed happy to get on with his life,” it said. But, he did try to avoid all the possible media attention. “Our biggest concern was our safety and the public’s safety and not wanting anybody, paparazzi, to follow him. He left through a big blue door through the front gatehouse and exited quietly. He looked down because he didn’t want to be photographed,” the statement added. Allegedly, after his release Simpson spent several hours in a car. “I’m in a car for the last five hours, so how do I know how it feels to be out?” he said in a video published by Splash News. “I’ve been in nowhere U.S.A. for the last nine years doing nothing. Nothing has changed in my life. What do you expect?” he added. As imagined, Simpson was not interested at all in answering any questions. However, it has been reported that most likely he will live in the Las Vegas area. A Nevada parole official said that the former NFL star has a home in the area. This is yet to be confirmed. Famous tennis star Serena Williams has just become a mom. The happy mom and her fiancé, Alexis Ohanian, have welcomed a baby girl. So, congratulations are in order for Serena and Alexis. Serena welcomed her baby on Friday afternoon, at St. Mary’s Medical Center in West Palm Beach. Both the new mom and the baby are healthy and doing fine. As imagined, Serena enjoyed some special conditions at the medical center. It has been reported that she was admitted to the medical center on Wednesday. She booked the entire first floor and security was enhanced. The pair previously revealed that they were sure they will have a baby girl. They also revealed that Serena had a very good pregnancy and actually she had only healthy cravings, including zucchini and asparagus. Serena also said she enjoyed a lot her pregnancy. This is the first child for Serena and Alexis. The baby birth news were first shared on Twitter by Chris Shepherd. “Tennis star Serena Williams gives birth to a baby girl weighing 6 pounds, 13 ounces. Mom and baby doing well,” the post said. Of course, immediately after the star started to receive a lot of congratulations from a series of people, including famous singer Beyonce. Beyonce’s message was quite simple, but beautiful. The singer shared a photo of Serena during pregnancy with the message “Congratulations Serena!” Beyonce also recently welcomed babies, as she gave birth to twins. The singer is mom to three children now. 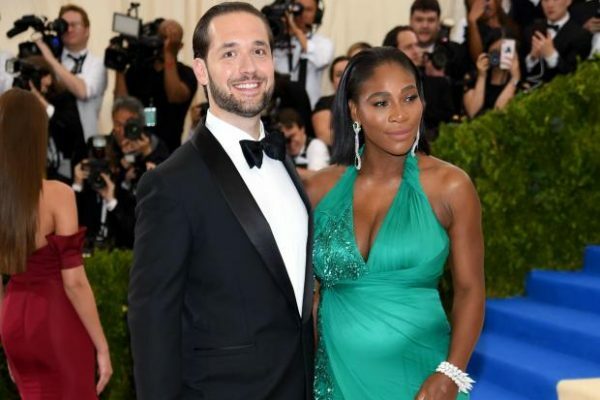 Serena Williams and Alexis Ohanian have been a couple since 2015. The pair allegedly got engaged in 2016, while they were enjoying a romantic vacation in Rome. The pair officially revealed that they are going to welcome a baby in April, and as imagined Serena had to take some time off from her very successful tennis career. However, the star claimed that she will get back to the tennis court very soon after becoming a mom. Without a doubt, fans expect that to happen, but it is yet to see when Serena will be back. Famous soccer player Cristiano Ronaldo is set to welcome another child. The star and his beautiful girlfriend are going to welcome their first child together. The news comes after Cristiano has recently welcomed twins via surrogate. The happy pregnancy news was confirmed by the popular star, who revealed that Georgina Rodriguez is pregnant. This will be the first child for Georgina, but the fourth one for Cristiano, who besides his twins also has a son. Ronaldo talked about the pregnancy during an interview with El Mundo. The star was actually asked if he was happy to be expecting a child with Georgina. “Yes, very much,” the Real Madrid star said. The star was also asked how he was handling the whole fatherhood situation and Ronaldo admitted that he still had a lot to learn. The star claimed that his twins are “precious” but said that changing their nappies is not easy, although he is trying his best. “I do not get on very well, but I try,” the soccer star said. Either way, there is no doubt in the fact that Cristiano is very happy with the expansion of his family. “So happy to be able to hold the two new loves of my life,” he shared at the time when he welcomed the babies on social media. As already mentioned, Cristiano also has a 7 years old son. It is unclear who the mother of his child is, as Cristiano claimed that she wishes to remain anonymous and the full custody will be held by him. The rumors on a possible pregnancy first emerged a couple of weeks ago, when it has been claimed that Georgina was spotted with what appeared to be a baby bump. In an Instagram photo shared by Cristiano, Georgina was seen in her bikini with her small bump. The two stars have been a couple for less than a year. They first started dating in November 2016. However, it seems that things are going great in this relationship and have been evolving really fast. No other details of the pregnancy have been revealed at this point, so it is unclear when the baby is due. 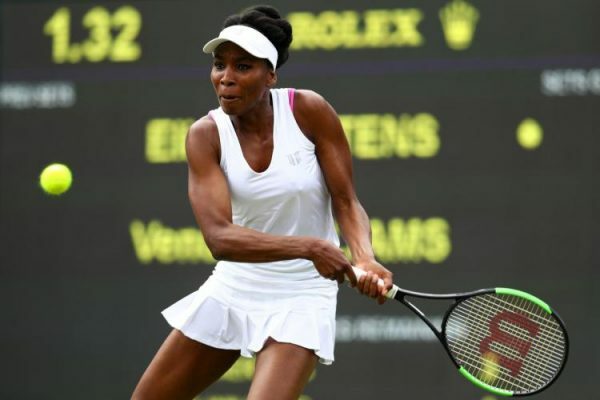 Unfortunately for Venus Williams, she was recently involved in a car accident. The vehicle driven by the star entered an intersection and was hit by another car. Initially, it has been claimed that Venus may not be the one to blame for this accident, but now it appears that she could be at fault for what happened. The police allegedly found Venus “at fault” in the fatal car crash that occurred at the beginning of June. The accident led to the death of Jerome Barson, a 78 years old man. The accident occurred while Venus was heading north in a backed-up intersection in Palm Beach Gardens, Florida. The professional tennis player, who is 37 years old, entered the intersection on a green light. Her car was hit by a vehicle driven by another woman, who suffered several broken bones. However, her husband, Jerome Barson, suffered a traumatic head injury. He was immediately taken to the hospital, but unfortunately he never recovered. He died about two weeks later. So, TMZ reported that some police officers concluded that Venus “is at fault for violating the right of way of the other driver.” The police claimed that there is absolutely no evidence that Venus was under the influence of drugs or alcohol, and she did not seem to have been distracted by an electronic device. “The police report estimates that Ms. Williams was traveling at 5 mph when Mrs. Barson crashed into her. Authorities did not issue Ms. Williams with any citations or traffic violations,” Venus’ lawyer previously said in an official statement. “This is an unfortunate accident and Venus expresses her deepest condolences to the family who lost a loved one,” the same statement concluded. The family of the victim previously filed a wrongful death lawsuit against Venus, saying that she was negligent. 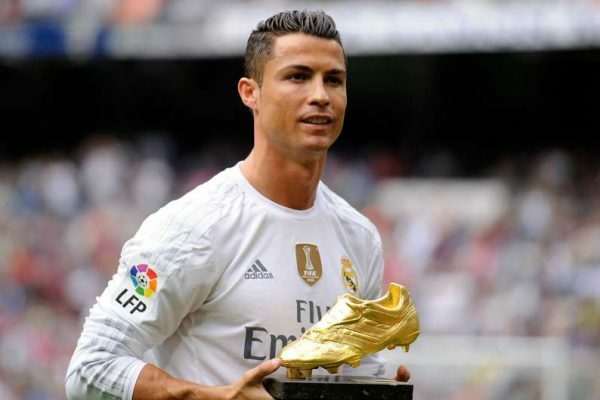 Congratulations are in order for famous soccer player Cristiano Ronaldo. The star of Real Madrid has just become a father for the second time. The happy dad welcomed twins via surrogate. And Cristiano shared a lovely pic of him holding his new babies. The star shared the picture on his Facebook page on June 29, when he officially confirmed that he welcomed his twins, a baby boy and a baby girl. The Real Madrid player was already a father to Cristiano Ronaldo Jr, who is 7 years old. So, in the pic Ronaldo can be seen with his newborn babies, who are dressed in blue and pink, revealing their gender. The babies looked asleep and Ronaldo looked very happy and proud. The star also shared a message to reveal his happiness. 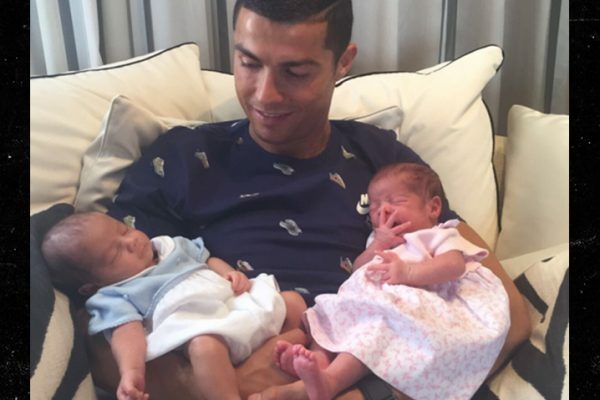 “So happy to be able to hold the two new loves of my life,” the soccer star shared along with the pic. The star did not reveal anything else at this point, but as already mentioned it has been speculated that he welcomed a boy and a girl. Moreover, several reports said that the babies were born this month via a surrogate mother. Some reports even speculated on the names of the new babies, being claimed that Ronaldo picked the names Eva and Mateo for his children. But, Cristiano Ronaldo’s family might get even bigger in the near future. It has been claimed that his beautiful girlfriend, Georgina Rodriguez, is pregnant with the couple’s first child together. The rumors first emerged when Cristiano shared a picture online with his hand on Georgina’s tummy, which definitely looked like a pregnant woman’s one. And that is not all. The pair was also spotted in Corsica during a recent vacation and Georgina definitely seemed link she had a baby bump. The pair has made no comments on these rumors, so it is yet to find out if the two will welcome a child or not. Meanwhile, it surely seems that Ronaldo couldn’t be happier with the new addition to his family. Things don’t look too bright for Tiger Woods. 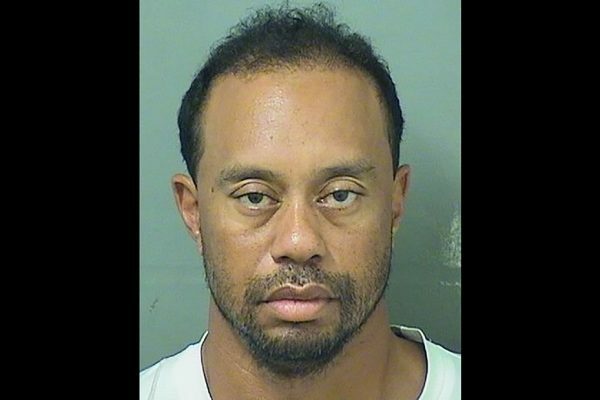 The famous golfer has been arrested this week for DUI in Florida. The star was taken into custody on suspicion of driving under the influence and several reports claimed that he had an unlawful level of alcohol in his blood. Initially it has been claimed that he was taken to the Palm Beach County Jail. As imagined, the star did not spend too much time in jail, but was released from custody in a matter of a few hours with no bond. Soon after being released from jail, Tiger Woods released an official statement to apologize and acknowledge the severity of his actions. However, he also said that he did not drink before getting behind the wheel, but actually it was all caused by a reaction to some prescribed medications he took before his arrest. “I understand the severity of what I did and I take full responsibility for my actions,” the official statement said. “I want the public to know that alcohol was not involved. What happened was an unexpected reaction to prescribed medications. I didn’t realize the mix of medications had affected me so strongly,” it went on to add. However, Woods went on to say that he will make sure that this will not happen again. “I would like to apologize with all my heart to my family, friends and the fans. I expect more from myself too. I will do everything in my power to ensure this never happens again,” he said. The statement also praised the police officers who handled his case for their professionalism. Woods claimed that he fully cooperated with the authorities. Tiger Woods’ personal life caused a lot of headlines a few years ago, when it had been revealed that he cheated on his wife with multiple women during their marriage. Woods and Elin Nordegren ended their marriage in 2010. It surely seems that Andre Agassi and Novak Djokovic already started training together, as Novak is preparing for the Roland Garros. The two were spotted together on the tennis court and the first photos of the stars were published on social media. Andre Agassi will have a very difficult mission in helping Novak shake his very bad luck and unsuccessful start of the season. Novak has a lot of pressure at Roland Garros, as he is actually the defending champion at this tournament. Novak wanted to make a huge change to get out of this bad state, so the famous tennis player decided earlier this month to fire his entire coaching team. The decision actually came after Novak lost the Italian Open final in front of Alexander Zverev, a young player who seems to become a constant presence on top. Well, now Novak will benefit from the help and the advice of Andre Agassi and it is yet to see if this is what the Serbian player needed to overcome his series of losses. For Agassi this will also be an interesting experience, as he actually has never coached a top player before. Furthermore, it has been claimed that the collaboration of the two is on trial now and Agassi is not planning on staying in France for the whole Roland Garros. The collaboration between the two could, however, become more permanent if it proves to be successful on both sides. Since Novak fired his entire team, including Marian Vajda, who has been his long-time coach, he has been mostly alone in the last few weeks, having only his broker, Marko, and his spiritual guru, Pepe Imaz, to help him. An interesting thing to mention is that before being confirmed to help Novak with his preparation, Agassi was actually mentioned as a potential coach for Novak’s main rival, Andy Murray. Well, finally Novak convinced Andre to join him, but it is yet to see if the collaboration will turn out to be a success. Novak Djokovic has been having quite a rough period of time when it comes to his tennis career. The star just seems unable to keep his success and to regain his series of wins. And he now decided to make a big change. Novak will be coached by famous tennis player Andre Agassi. At least for a few matches, it has been claimed. Andre will be helping the famous tennis player to prepare for the French Open, title that Novak has to defend next week. Novak was definitely shaken by his last defeat in front of Alexander Zverev, who did an amazing march in Rome and took home the title. Zverev proved to be an amazing tennis player and without a doubt he will continue to make his presence known on the tennis field in the future, as well. Novak needs to forget about this defeat as fast as possible and start preparing for the new tournament. The star maybe will get the support that he needs from Andre. “I spoke to Andre the last couple weeks on the phone, and we decided to get together in Paris. We don’t have any long-term commitment, it’s just us trying to get to know each other a little bit. He will not stay the whole tournament. He’s going to stay only to a certain time, and then we’ll see after that what’s going to happen,” Novak said. It is unclear at the moment if Andre will take a more serious commitment and stay with Novak for longer time, but Novak seemed very optimistic about this collaboration in his statement. “Andre is someone that I have tremendous respect for as a person and as a player. He has been through everything that I’m going through,” Novak stated. The famous tennis player also said that he feels that Andre can bring an overall positive contribution to his life. “He understands the game amazingly well. I am enjoying every conversation that I have with him. Also, he’s someone that nurtures family values, philanthropic work. He’s a very humble man, very educated. He’s a person that can contribute to my life on and off the court a lot. I’m very excited to see what is ahead of us,” Novak concluded.